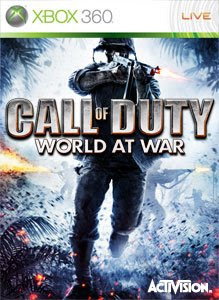 The 1st map Pack for Call of Duty:World At War arrives today on the Xbox Live Marketplace. "Players fight through the burning streets of Berlin in “Nightfire” and take up battle positions in fortified Japanese bunkers in "Knee Deep." “Station” offers a bombed out underground train station, and the Nazi Zombies return in “Verrückt” (Zombie Asylum) featuring more weapons, new Perks-a-Cola machines and electroshock defenses." 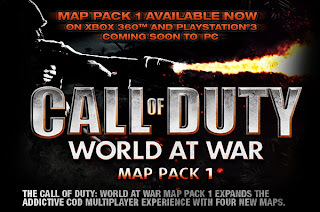 The Pack Includes 4 new maps and a playlist just for the New DLC. Also to accompany the Maps, You will be able to earn Double XP for a week starting today, even if you don't own the new maps. So have fun on World At War!